For those of you who know me or have been following me for awhile know that the paleo diet is one that works well for my body and help with the food intolerances I have developed over the years. 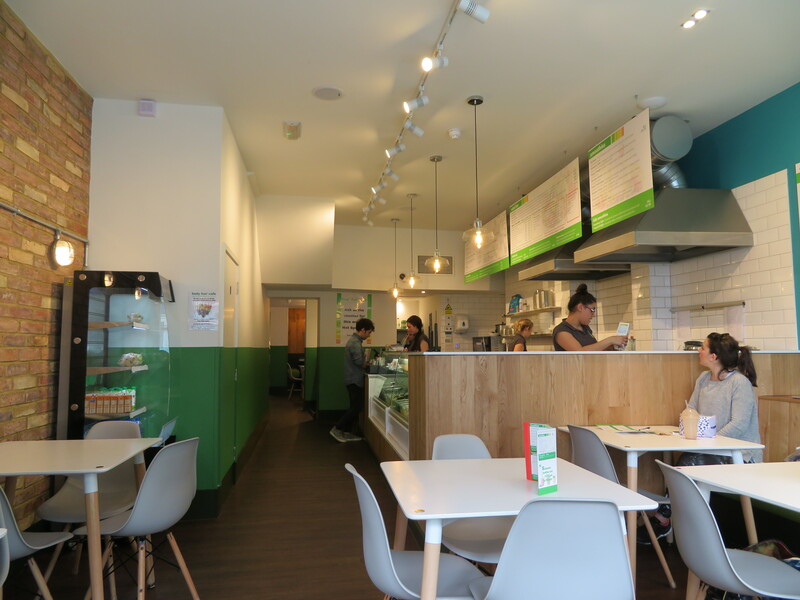 This is why I was pleased to hear Body Fuel Cafe had opened, serving protein based dishes with nearly everything being gluten free and paleo friendly. 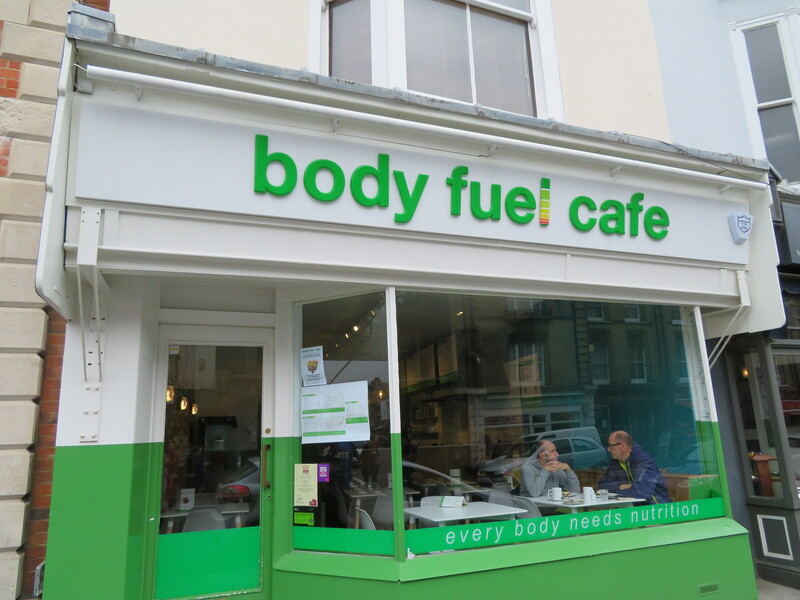 Body Fuel Cafe is located on Church Road in Hove, opposite the Old Albion pub. 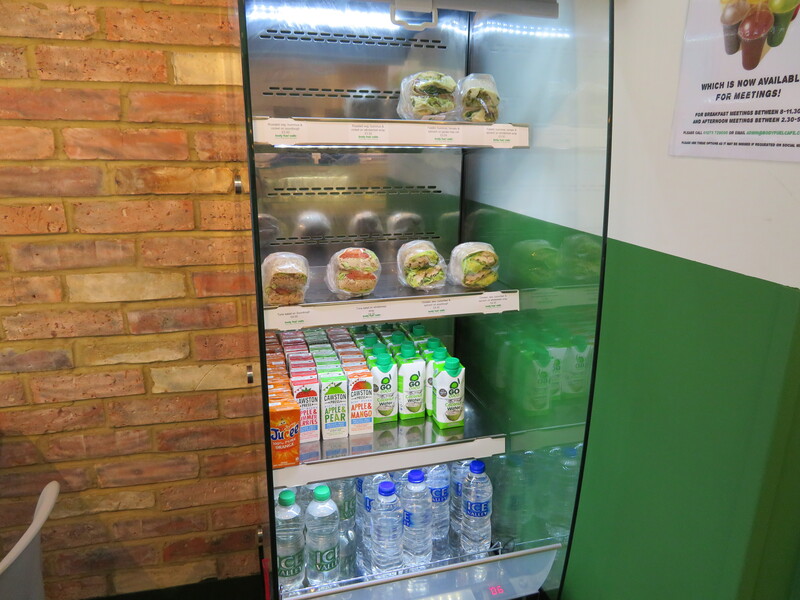 Their menu consists of healthy salads, breakfast dishes, gluten free rolls, smoothies, soups and paleo friendly sweet treats made by Eat Naked too. They have plenty of gluten-free, vegetarian and even vegan options and should be able to cater for most special dietary requirements. They’re open Monday – Saturday at the moment for breakfast and lunch and I believe will be open Sundays as well when it starts to get busier in Spring. They’re well located for the outdoor enthusiasts and fitness goers of Hove for a post workout feast that won’t either break the bank or give you bad calories! Daz (my partner) and I visited on the Saturday lunchtime nice and early so the cafe wasn’t too busy and was in the crossover when most people would either be having brunch or starting lunch. 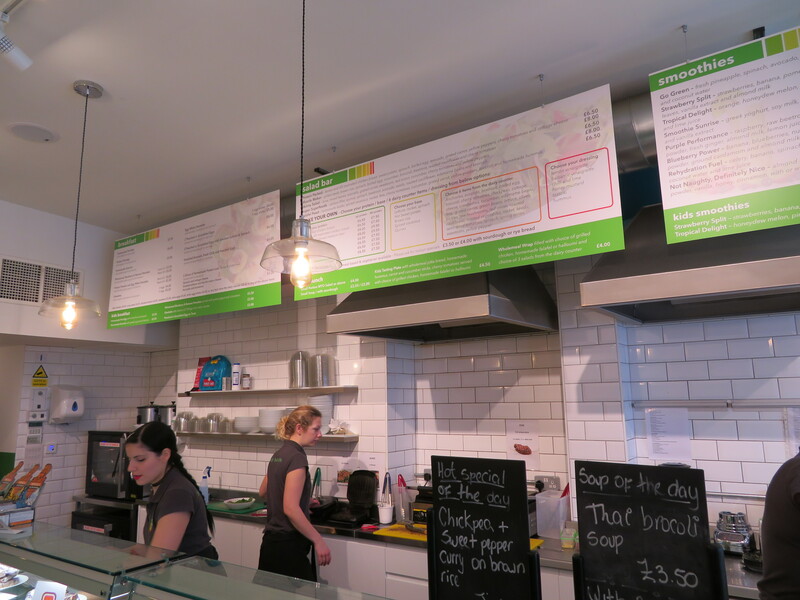 I liked the white wash interior and bold green colouring, it really matched the clean eating cafe that it is. The cafe is set up with seating at the front, bar and kitchen where you order in the middle and there is a large seating area at the back too which indicates they must get quite busy as I think it’s just been opened. While there are menus on the tables you order at the counter and their menu is written up behind the counter too. I did find it quite overwhelming as there is a lot to choose from so I would recommend reading their online menu before you go if you’re like me and aren’t good at making quick decisions! On the breakfast menu you have egg white omelettes, protein pancakes, avocado on toast with poached eggs, porridge, granola to name a few. Daz had a late start to his day was going for the breakfast option of avocado on toast and a smoothie. The smoothie menu consists of about 8 perfected combinations, with an option for however you are feeling or whatever exercise you have done that day. I chose the ‘Post Cardio Rehydration’ smoothie and even though I hadn’t done any cardio that morning I could see how it would be refreshing and beneficial if I had. It was made from celery, banana, spinach, protein powder, fresh ginger, coconut water and lime juice which I thought sounded an interesting combination (celery and banana especially) but it was actually really balanced in flavour and worked! Daz went for a sweeter option called Strawberry Split which had strawberries, pomegranate, banana, fresh basil, almond milk and vanilla extract. It resembled a strawberry milkshake but had a bit of acidity from the pomegranate seeds which made it unique! They’re obviously carefully thought out and created with the nutritional value and flavours in mind. If you’re having lunch you have the salad bar menu where you choose your base (salad, sweet potato, brown rice, quinoa or cous cous), protein, topping (sweet corn, olives, onions that sort of thing) and then dressing. They also have about 5 house salads to choose from which I would recommend as a starting point if you’re indecisive like me! 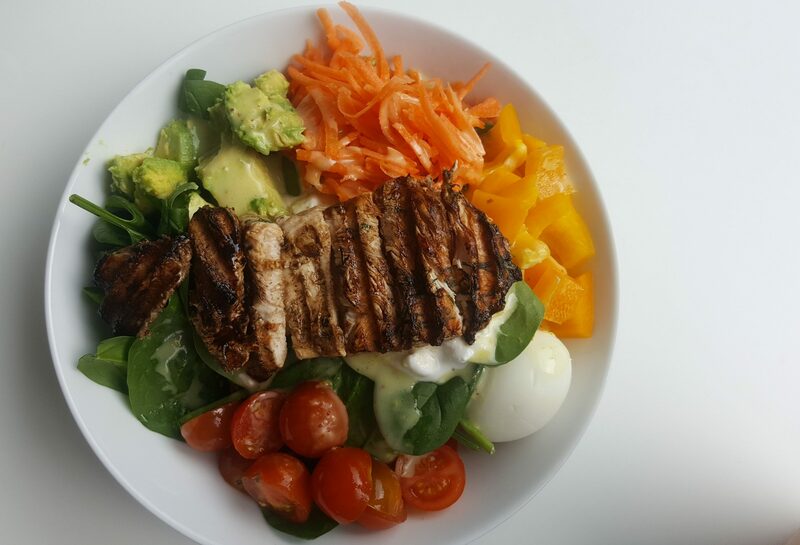 I liked the sound of the ‘Protein Packed’ which had lemon and dill marinated grilled chicken, sweet potato, cherry tomatoes, yellow peppers, boiled egg, spinach, cottage cheese, avocado and grated carrot. I was able to choose the dressing still so went for the honey mustard as thought it would fit with the rest of the ingredients. As we were waiting for our food the people next to us were served their protein pancakes which looked incredible and definitely something I would like to try next time! They’re made up of just protein powder and egg whites but looked dense and fluffy and came with a blueberry compote and greek yoghurt on the side. Their plates were cleaned so they must have tasted good. My salad came first and was a colourful collage of vegetables and the blackened chicken sliced on top smelled incredible. As you can see from the picture the portion is generous and £6.50 I think it’s really good value! All the elements were well seasoned and the chicken marinated in the dill and lemon was grilled in balsamic and was lovely and juicy and tender. I could imagine eating this after a workout and feeling really satisfied but I was also enjoying it as a guilt free lunch option as I didn’t feel sluggish or uncomfortably full for the rest of the afternoon. What I liked was having the hot and cold elements too, as the sweet potato underneath was freshly baked and comforting. 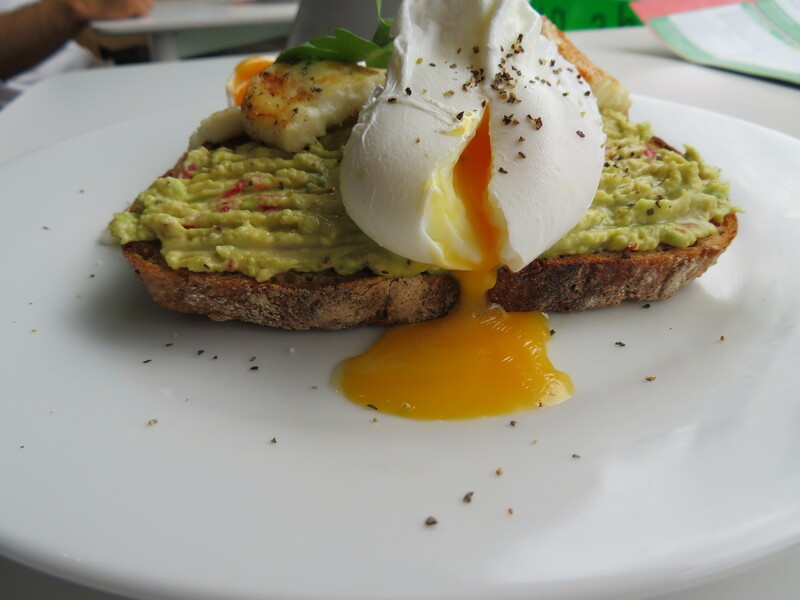 Daz’s avocado on toast (£6) looked a treat and he even let me break the eggs to let the runny yolk pour over the bread. The portion of halloumi was generous and was lightly grilled. The avo had a good punch of lemon and there was a decent amount of chilli flecked through. The egg yolks were spot on but the whites were a little underdone for Daz’s liking, as he gets squeamish if they’re not completely cooked. Our fault really as we didn’t mention this at the time but something to note if you do too. Overall he was really happy with his choice! 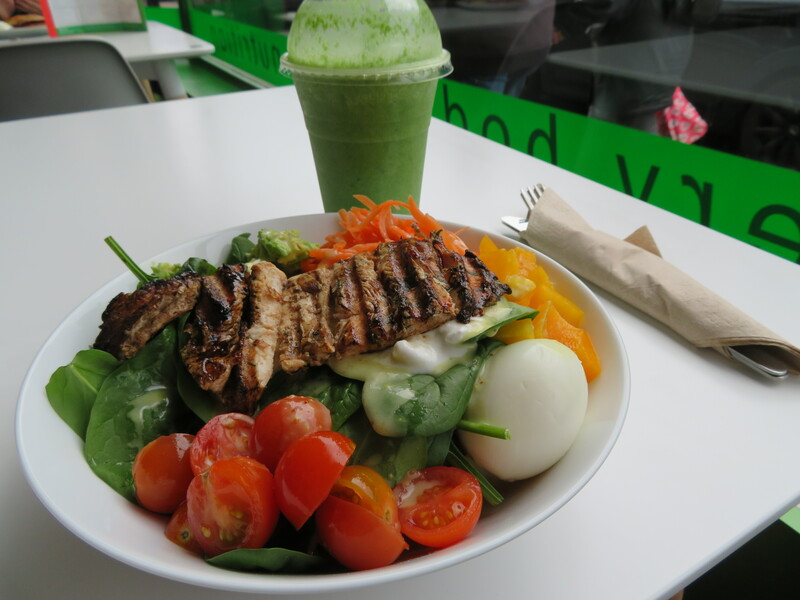 I am pleased to have another paleo friendly cafe in Brighton and Hove, it’s a great option for a healthy but filling lunch if I’ve been out shopping and will be really good in the summer for taking down the beach! 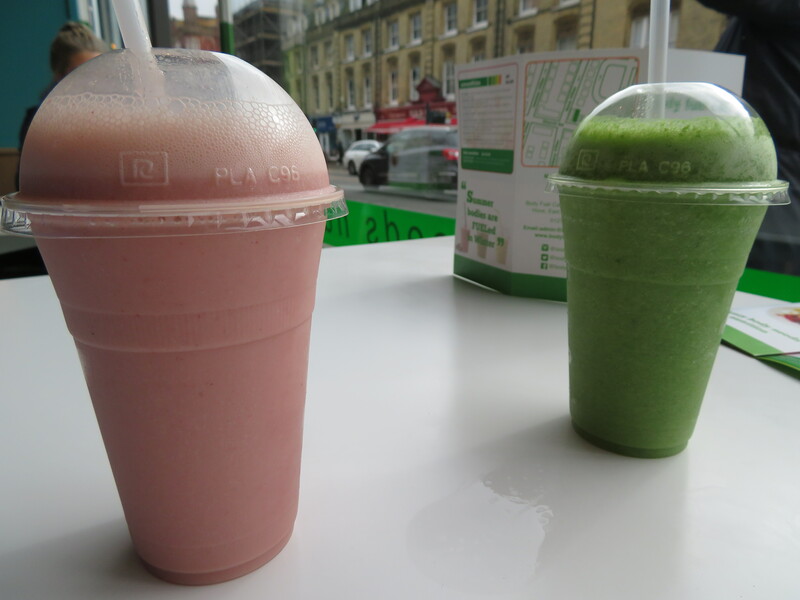 For under £10 for a smoothie and a filling, quality salad it’s a bargain really. 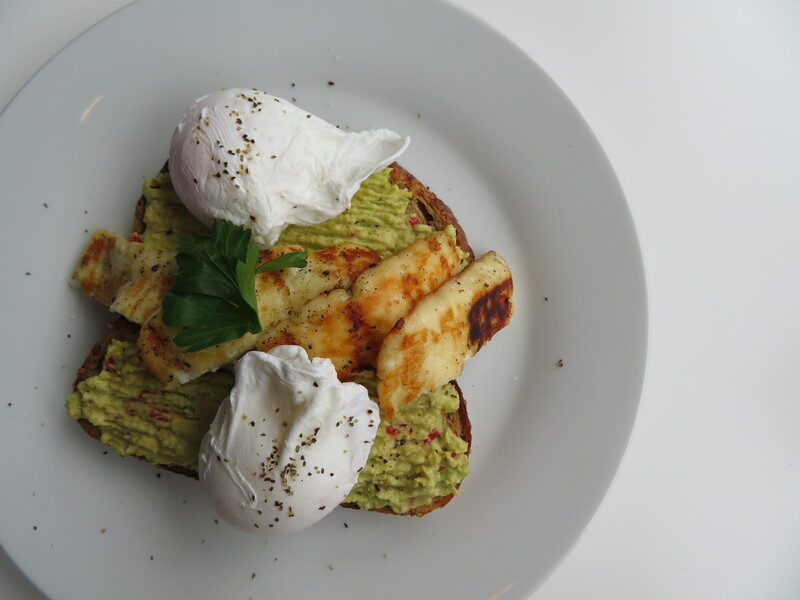 I really like that they’re bringing a healthy option to the people of Brighton and Hove and I would recommend to anyone in the area to give their menu a go, whether post work-out or for a guilt free lunch/brunch alternative. 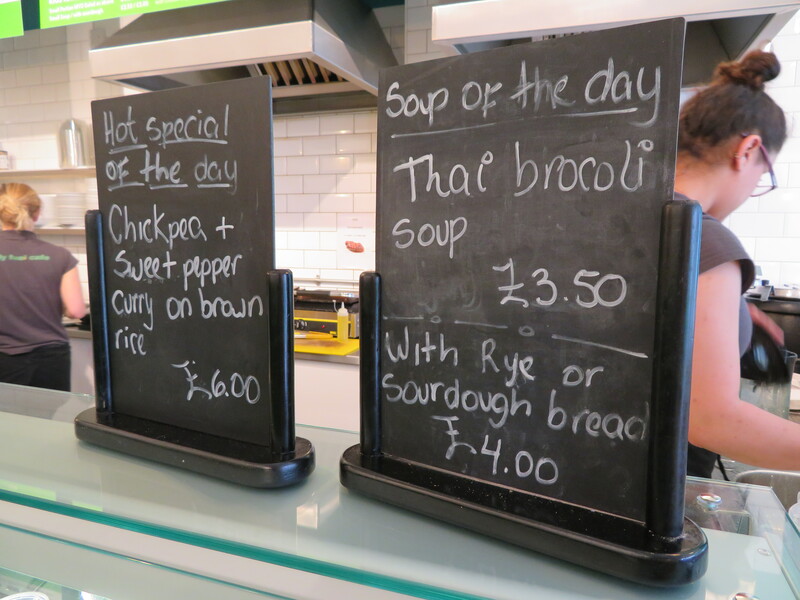 For those following a strict diet whatever that may be, Body Fuel Cafe is perfect. * I was invited to try Body Fuel Cafe complimentary but views are 100% honest, genuine and my own. Thanks for your comment! Sorry to hear that, hope you feel better soon. Do you follow a strict diet or do you find it hard as well?